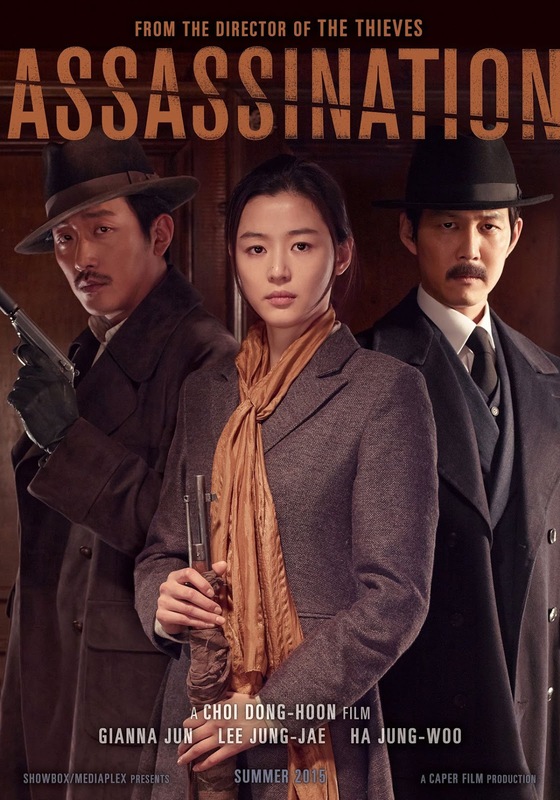 “Assassination.” If you have read that review, you may not need to read this one. But if you do, God bless and also join a raffle while you’re here. Considering I am talking about a subject that tends to exist pervasively within Korean culture and especially the entertainment industry, it may be an interesting reference point for those foreigners who want to gain more understanding about Korean dramas. Over the past years, there were several historical Korean dramas set during the Japanese occupation period. Examples would be “Inspiring Generation” (2014) or “Bridal Mask” (2012). 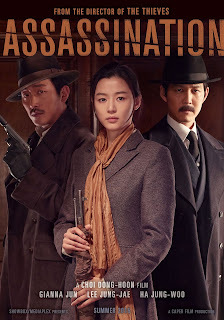 This is also the case for Korean movies as the recent mega hit “Assassination” (2015) is set during that period. It is all a fun time like fighting Nazis! However, this are far more complicated than that. You can say that same things about Nazis but let’s not get into that discussion. So, what I’m I going to talk about? I want to talk about the Korean Left wing movement that tends to permeate Korean culture and entertainment and its relationship with the Japanese occupation. 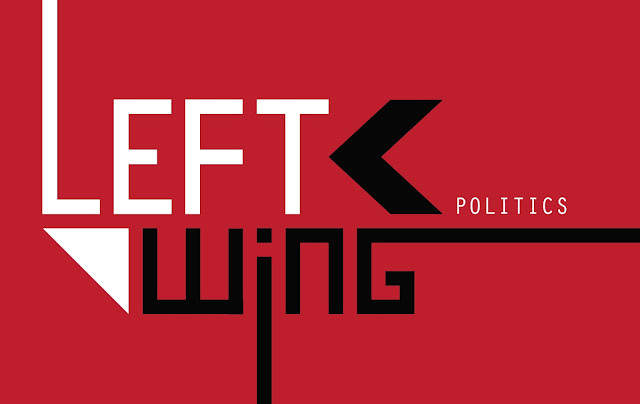 The term of “left wing” is very broad encompassing many disparate groups of people and ideas. 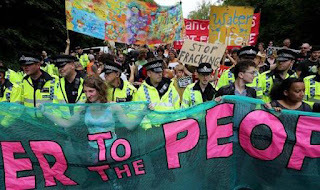 This is what generally keeps them in check as, once they go beyond the joint dislike of the establishment, there is a lot of conflicting interests within this broad grouping. I mean there is a lot of weirds ideas floating around all mesh up together within the Korean left wing. Many of those had they heyday decades ago globally but they still are going strong here. But that is a topic for another day and another outlet. This is the same for the Korean left wing except for one thing. Well mostly one thing. It is that they have a common rallying call that holds the disparate factions together. What is this rallying call? It is basically that everything Korea is now is contaminated with former Japanese collaborators and current collaborators with America which is basically the same thing as Japan. Thus, what exists now is false and has to be torn down and destroyed and replaced. 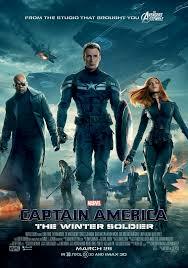 Think of the theme of Captain America: the winter soldier (2014) but without the comic book. This idea is nothing unique to Koreans. It is the underlining premise of the Matrix movies after all. There will always be the disillusioned who also have an anarchist streak to them. The thing unique about Korea is that this is basically the ultimate rallying cry for the wider Korean left wing. 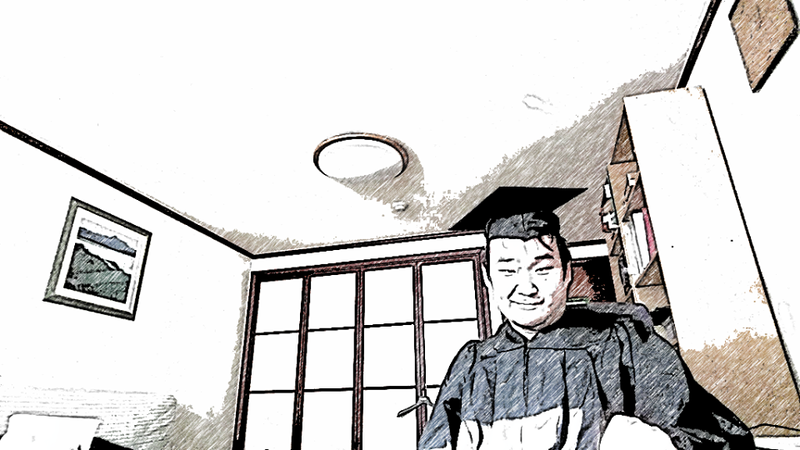 Japanese occupation of Korean is really complicated and did a job on the Korean psyche! First thing that you need to know is that the Japanese occupation period of Korean history is far more complicated than how it tends to be portrayed in Korean movies and dramas. While what you tend to see is as a rather straight forward divide between good and evil like how the Nazis are portrayed, the reality is that the Japanese were not exactly the same as Nazis. Considering that the occupation officially lasted for 35 years, it is closer to imperialist overlord and colony situation. And that whole area of discussion can get very icky fast. Even the whole American Revolution thing, while Americans try to gloss it over, is far more complicated than commonly known. This ties in to Koreans’ rather sometimes comically crippling insecurities. Korea in any form in the past was never much a BIG country which had something to show to prosperity. We were basically a satellite tributary kingdom of China. The only times we had some leeway to try to show off was when China became weak over internal issues or external issues unrelated to us. In short, we were a 3rd class country for most of history. This applies to even in the “Good old times” when Joseon Kings and Confucianism ruled. However, as an isolated country, we liked to think of us as a big fish in a very small pond.Then, we were basically conquered by Japan without even firing a shot. They just walked in and said that the king had to sign over the country as if we had defaulted on a loan and that was that. We were conquered that like with a whimper. If you look over Korean history especially the history of Joseon dynasty, this should not come as much of a surprise. However, it was a shock to Koreans at the time and is still remembered as a traumatic event since self-reflection is not Koreans’ strong suit. During the occupation, most of the Korean efforts towords liberation was indirect. Not much were done directly at least inside the peninsula. The Japanese ran a tight ship and Korean didn’t really have the social infrastructure laid out to do more than focusing on education and passive resistance. The situation abroad was not much better although there were some military actions albeit small scale ones. And even those were plagued with infighting. The so called “government in exile” never had the resources or was able to consolidate the disparate factions floating around to make much of a global impact. In other words, Koreans at the time would killed to be something like ISIS or even Al-Qaeda but reality was nothing as grand. This also is a secret shame of Koreans that we tend to shove deep down in our collective psyche. However, the big blow still on the way. Korea was liberated just like that by the Allies. Koreans had basically no hand in it at all. You see why Koreans would develop a complex or two? Once Korea was liberated, the country for Koreans by Koreans and only for Koreans that many dreamed of did not materialized. It couldn’t be realized not only because of global politics but also because “Koreans,” as an idealized concept in the heads of those who believed, never existed in real life up to that point. We were just groups of people that shared some familial traits ruled all along by a dynasty and nothing much more. Once you got “Koreans” together, no one could agree on what was a Korean and what to do. This startled many with their heads in the clouds about the idealized view of the “Korean” people. What can you do when your idealized concepts are threatened? What should you do? There are several ways one can react. But many go for the easy solution and blame it on others and view anyone with different opinions as traitors. Hate is a great tool for this and Koreans had a clearly defined target for their hate in addition to some vague traitors within their ranks. This is why the view of anything and everything after the occupation is “tainted” took hold which is ironic if you think about it. In any case, a “realistic” or “tainted” Korea was created depending on who you asked. It was a capitalist country which many was opposed to and then everything went up in smoke during the Korean war. At first, many viewed it as a purging of the “tainted.” Some still do. Many were killed. In the subsequent years, Korea flourished by becoming a country that makes movies and dramas worth you reading through this editorial. However, the sense of “taint” has lingered and gradually taken roots in the consciousness of Koreans and its culture. More so with groups that get lumped in with the left wing as they do not have many ties with the world of today. 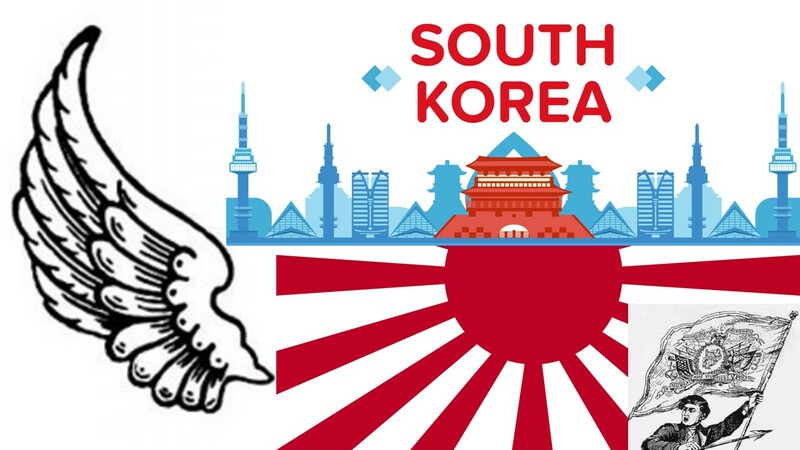 This is how the Korean-Japanese relationship ties in with the Korean left wing movement. 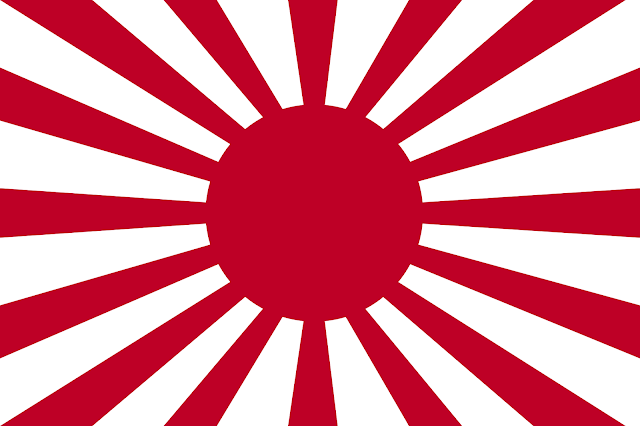 For the Korean left wing, the term anti-Japanese is the flag being waved but the thing waving the flag is the world view that the currently world is tainted and needs to be destroyed or at least purified. And this works like a charm almost every time. It helps the Korean left wing to maintain more cohesiveness relative to the Korean right wing thus rather dominate public opinion in small and large ways. 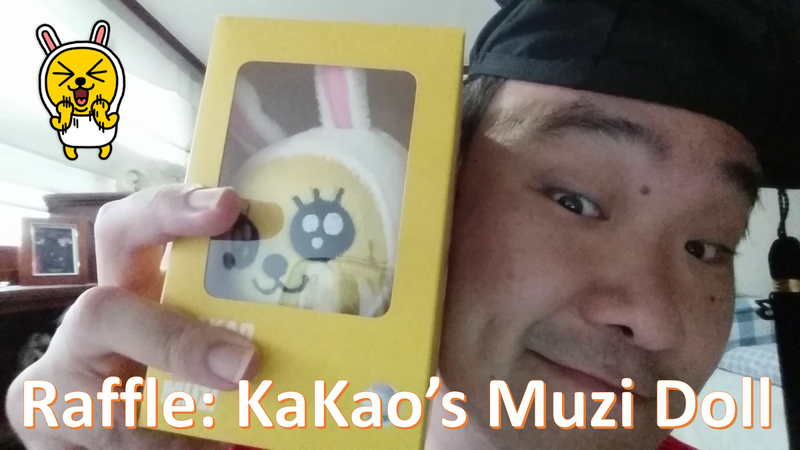 This is what we live with as Koreans. This is Prof. AKIA and thanks for reading this editorial! Also join a raffle while you’re here.